North America's Most Popular Portable Propane Heater! This patented radiant 3,800 BTU Liquid Propane heater connects directly to a 1 lb. cylinder and is the perfect solution for heating small enclosed spaces like tents up to 95 ft² The included base takes up little space and the integrated handle makes this heater an easy one to transport. North America&apos;s Most Popular Portable Propane Heater! 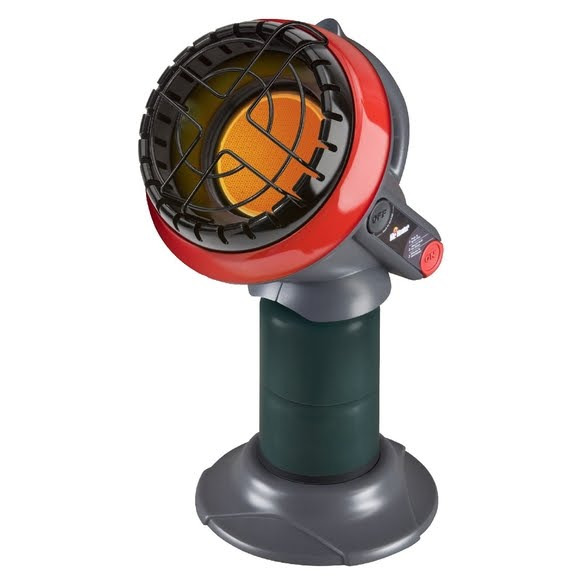 This patented radiant 3,800 BTU Liquid Propane heater connects directly to a 1 lb. cylinder and is the perfect solution for heating small enclosed spaces like tents up to 95 ft² The included base takes up little space and the integrated handle makes this heater an easy one to transport. To light the unit, simply push and hold the ignition button and the integrated Piezo sparking mechanism will take care of the rest. With the Oxygen Depletion Sensor (ODS) and accidental tip-over safety shut-off, you can be sure that you will enjoy years of comfortable indoor safe heat.